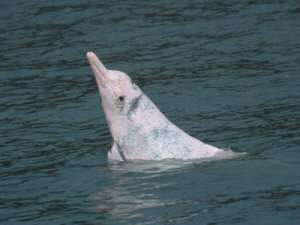 This is a 4 hour trip to see the natural habitat of the Pink Dolphins which are now endangered. The cruise aims to promote protection of this species. This also includes a bus ride to Tung Chung, a new satellite town. This is only on three days of the week and advance booking is a must. The tour cost is HK$ 320 / 160 for adults/children. Then there is a free cruise every Thurs and Sat organized by the Hong Kong Tourism board. Pre- registration is a must. Contact 852/2508 1234. Duh Ling, a Chinese junk cruise is a one hour cruise and is a great and cheaper option.